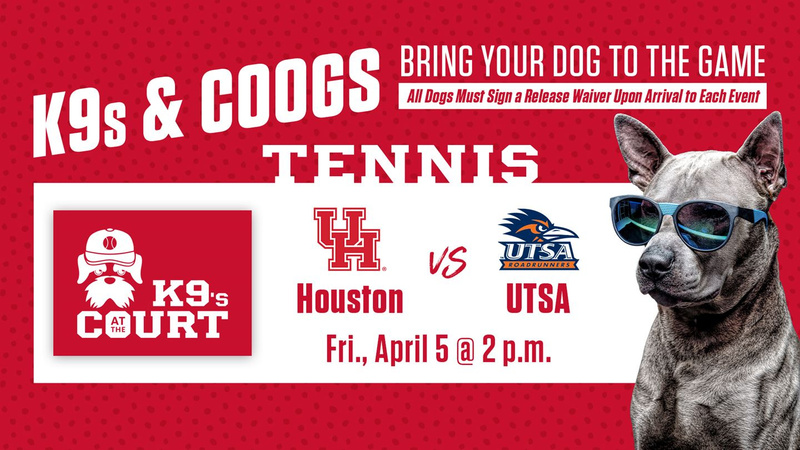 The Houston Women's Tennis team is preparing to host UTSA at 2 p.m. on Friday, April 5, at Barbara Wallace Winston Tennis Facility. UTSA comes into Houston on Friday with a 11-10 record, defeating North Texas in their last match, 4-3. Freshman Jasmine Starr leads the team at Flight 1 in both singles and doubles. Houston welcomes conference rival USF on Sunday with a 10-7 record, DEFEATING OR LOSING AGAINST, 4-3. Senior Ana Roman leads the team at Flight 1 in both singles. The Houston Women's Tennis team topped the roadrunners to start their weekend matchups, 5-2. HOUSTON – The Houston Women's Tennis team hosted conference rival USF, defeating them in a thrilling match, 4-2. The match started and ended with singles play due to the weather. The Cougars snatched the first win of the day at Court 5, where junior Phonexay Chitdara got her 11th singles win of the season rolling through Nicole Dzenga, 6-3, 6-2. The next win came from Stephanie Belovukovic, who beat Alex Mjos, 6-3, 6-3. The freshman from Australia has lost only two singles matches, moving to a winning record of 15-2. As the Bulls took the wins on Courts 3 and 4, the match became tied, 2-2. Both teams had a break as the storm forced the match to be moved to indoor tennis facility nearby the university. On the next court, Sophie Gerits remained as the lone and game-deciding match. After coming back from dropping the second set, the freshman from Belgium won the match in a thriller, 6-4, 4-6, 7-6. The Cougars move to 3-0 in conference play, and enjoy a winning record of 14-5 in the season. By the way, USF was ranked 47th in last week’s ITA rankings so that’s a pretty big win for the squad. 14-5 overall now and I’d say that we are probably better than last year’s team…and this is an entirely different team. Great job by the coaches and players.